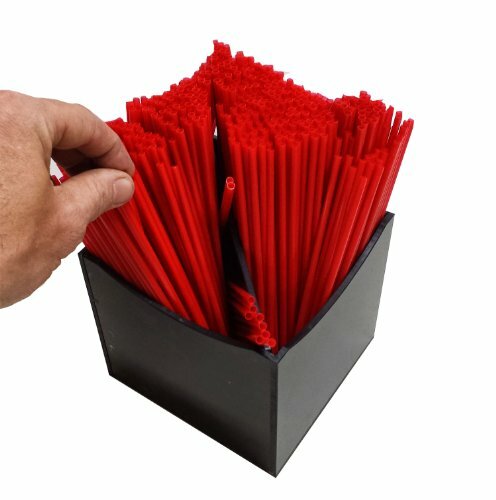 Need a place to store straws and stirrers? This unit works great on counters that serve coffee or soda. Our convenient straw or stirrer holder has a divider in the center allowing this item to store two different types of straws or stirrers. Unit dimensions: 5" x 5" This straw or stirrer holder is made of extremely durable 3/16 acrylic. All RCS Plastics products are made in our offices in the USA. If you have any questions about this product by RCS Plastics, contact us by completing and submitting the form below. If you are looking for a specif part number, please include it with your message.